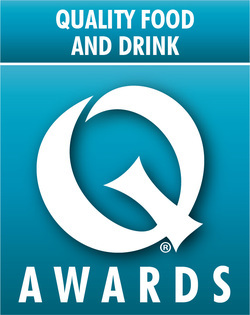 "We are delighted to partner with Quality Food Awards and, launch the search for the Small Producer of the Year, 2018. As a community retailer, locally sourced produce is an area where we can see continued sustainable growth as consumer demand for trust, provenance and quality continues to increase. Local producers display an inspiring mix of quality, pride, passion, history and innovation and, we look forward to working with finalists towards gaining a listing at their local Co-op store. The Co-op itself has a proud and pioneering history – tracing back to the mid-1800’s – and we have an exciting future. We have the ambition for our stores to be at the heart of local life, bringing communities together and getting closer to the needs of our Members and customers, offering great quality products when and where they need them. This year, the Co-op has ambitions to open 100 new food stores, and continues to invest in its people, stores, products, prices and communities – and, we look forward to once again embarking on a search to find the nation’s finest small producers."